Imagine discovering that your home’s water supply is tainted with toxic amounts of lead. That has been the reality for the hundreds of thousands of residents of Greater Flint Michigan since September 2015. Now the community is desperately seeking solutions to cope with a massive public health crisis. That quest has brought them to mindfulness. Greater Flint has felt its share of strife. Once a booming center of auto manufacturing, the region of nearly 500,000 inhabitants, roughly 70 miles northwest of Detroit, has struggled mightily to overcome the economic depression, and high rates of unemployment, poverty, and crime that followed in the wake of the close of General Motors plants in the 1980’s and 1990’s. The once thriving city is now riddled with boarded up abandoned buildings, and its streets are devoid of grocery stores and safe public spaces. The spring 2015 announcement of lead in the water supply was a long time in coming. Locals repeatedly complained of a bad smell, brown water, rashes and hair loss soon after their area water source was switched to the Flint River in April 2014. General Motors stopped using the water in October of 2015, fearing that it would corrode their machines. But officials remained steadfast in their denial that there was a problem, insisting, “the quality of water being put out meets all of our drinking water standards and Flint water is safe to drink.” Meanwhile, the state began purchasing bottled water for its employees in January 2015. Assessment of the water in 252 area homes detected lead levels of 13,200 ppb, far greater than the 5,000 ppb level at which water is declared hazardous waste. Thanks to a team of researchers from Virginia Tech University, the truth of Flint’s water supply was finally revealed. Their independent assessment of the water in 252 area homes detected lead levels of 13,200 ppb, far greater than the 5,000 ppb level at which water is declared hazardous waste. Shortly thereafter, a study released by Dr. Mona Hanna-Attisha and colleagues at the local Hurley Medical Center showed large numbers of area children ages 5 and under with significantly elevated blood lead levels. This news launched a firestorm of controversy, and a rising tide of fear that Flint area children may have suffered irreversible damage due to nearly 18 months of exposure to contaminated water. Lead is a neurotoxin known to significantly impact child development. Decades of research show that lead exposure early in life may lead to deficits in intelligence, impaired neuropsychological functioning, behavioral problems, and poor achievement across the lifespan. Lead-tainted water is particularly damaging to developmentally vulnerable children because they absorb considerably higher proportions of water-soluble lead when ingested orally compared to adults. This hazard is even greater for unborn children of lead-exposed mothers, and infants consuming either breast milk or reconstituted formula. With thousands of children affected, Greater Flint now faces a colossal public health crisis. But lead’s impact is not easy to disentangle. The area’s children already face many obstacles to healthy developmental including poverty, poor nutrition, housing instability, parenting stress, and exposure to crime and violence. In addition, while the half-life of lead in blood is approximately 35 days, it can remain in the brain for 2 years, and in bone for decades. One longitudinal study suggests that [lead]may have a long-term impact on the brain’s prefrontal cortex, the “executive control system” that governs attention, problem solving, emotion regulation, planning and decision-making. Although there is little research examining the long-term neurological influence of lead exposure early in life, one longitudinal study suggests that it may have a long-term impact on the brain’s prefrontal cortex, the “executive control system” that governs attention, problem solving, emotion regulation, planning and decision-making. The study included a subsample of adults from the Cincinnati Lead Study (CLS): an urban, inner-city cohort of pregnant women living in neighborhoods with high rates of childhood lead poisoning. Their children were assessed beginning at birth and repeatedly until age 17. A total of 157 of these children agreed to undergo brain imaging as young adults (ages 19-24). Scans showed a significant, direct relationship between prenatal and postnatal blood lead concentrations, and marked decreases in gray matter volume in several key regions of the prefrontal cortex. Volume loss in these brain regions is consistent with, and potentially explanatory of, the cognitive and behavioral problems witnessed in children with a history of lead exposure. Why Did the Flint Foundation Turn to Mindfulness for Help? The Greater Flint community faces not only the task of supporting its youngest members in this time of crisis, but of remaining resilient in spite of it. 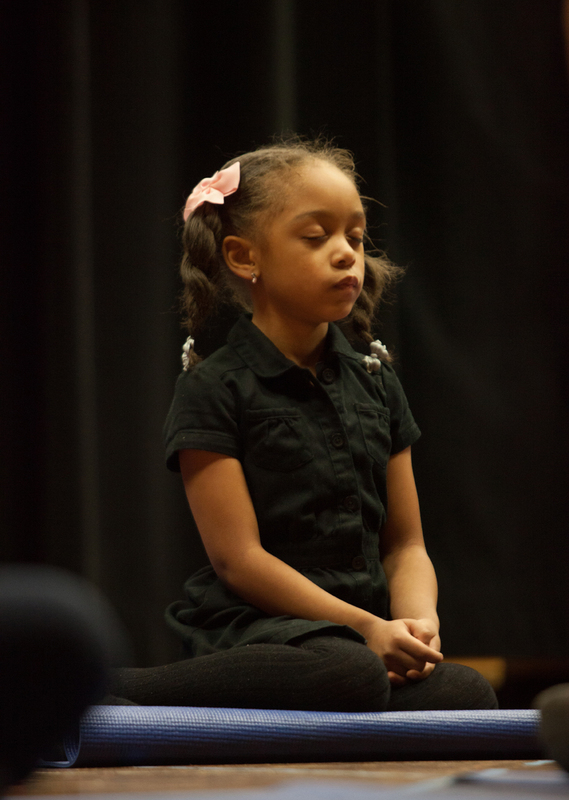 This month, one local non-profit organization, the Crim Fitness Foundation, launched an ambitious initiative to bring mindfulness education to all of the Flint Community Schools and beyond. “The Crim”, (as it is known in Flint) has a lengthy history of providing school- and community-based health and wellness programs to children and their families. 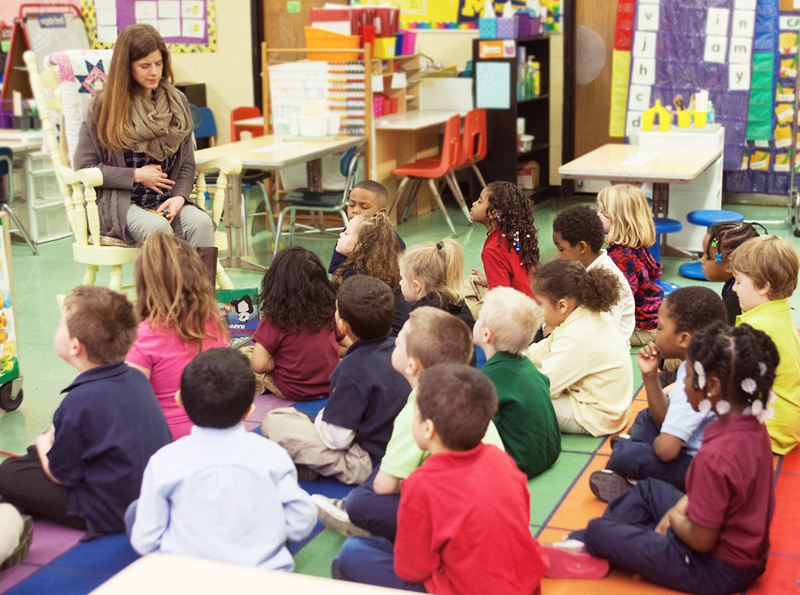 Their ongoing focus on mindfulness stems from a fervent belief that mindfulness-based skills hold promise for increasing key cognitive, behavioral and social competencies that children will need to counter the effects of lead exposure. They may be right. Evidence from the emerging field of contemplative science points to mindfulness practices like mediation, yoga, and breathing exercises as potentially impacting the brain systems and related cognitive and behavioral abilities shown to be most impacted by lead exposure. A 2014 systematic review and meta-analysis of published neuroimaging research found that regular meditators have differential activation in several regions of the prefrontal cortex, suggesting an increased capacity for attention, self-regulation, learning, memory, and self-awareness. Other studies link mindfulness practices with changes in the amygdala, a key part of the brain’s the limbic system that processes emotion. Specifically, regular meditation may be related to changes in amygdala volume and function, possibly decreasing emotional reactivity and anxiety, and increasing stress resilience. Evidence from the emerging field of contemplative science points to mindfulness practices like mediation, yoga, and breathing exercises as potentially impacting brain systems and related cognitive and behavioral abilities shown to be most impacted by lead exposure. The default mode network (DMN) is another system within the brain that is potentially impacted by meditation practice—This is the part of the brain associated with mind wandering. The DMN is represented by a number of highly interconnected structures including those in the prefrontal cortex and limbic system. This network is vulnerable to fear and stress, and plays an important role in depression, chronic pain, schizophrenia, autism spectrum disorders, and Alzheimer’s disease. A meta-analysis of 24 neuroimaging experiments showed that meditation is linked to changes in executive attention function, including functional alterations in the default mode network. Based on the mounting research on the benefits of meditation, mindfulness-based programs are becoming more commonplace in the nation’s schools, with initial studies offering promising results. A 2016 systematic review and meta-analysis of the existing published and unpublished research assessing the impact of mindfulness-based trainings for elementary, middle school and high school youths identified significant improvements in cognitive performance, resilience, stress reduction, and emotional problems. Flint is not the only city in this country with a lead problem. A recent report by the Natural Resource Defense Council found that 18 million people across the US were served by water systems with lead violations. With this growing recognition of the prevalence of lead in North American communities, we are likely to witness its impact on the nation’s children well into the future. 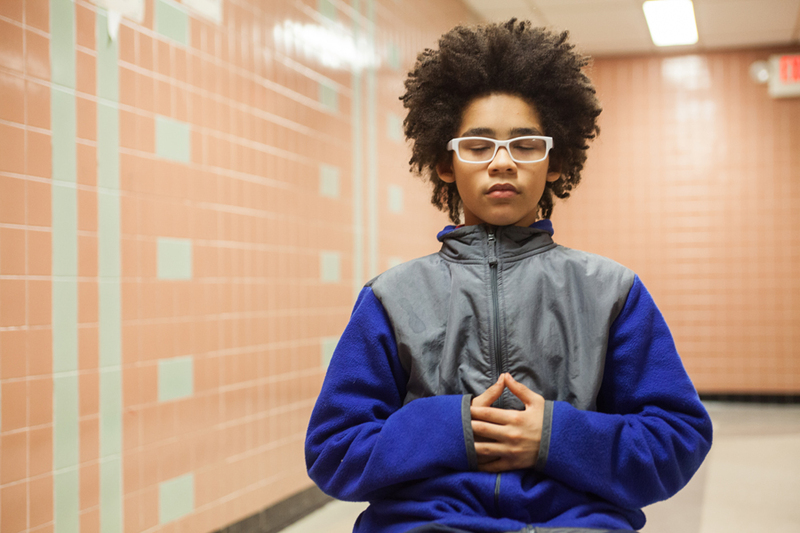 The Crim Fitness Foundation, and its mindfulness programming efforts are poised to teach us a great deal about the potential for mindfulness-based education to alleviate some of lead’s deleterious developmental and biopsychosocial effects. For Flint, the impact of the Water Crisis is vast and complex. Those of us working in the community recognize that mindfulness education addresses but one, small piece of a multifaceted puzzle. But we are optimistic that these steps will enhance resilience, strengthen cognitive and behavioral capacities, and promote kindness, and compassion, which will benefit the community immensely over the decades of healing to come. On October 6, 2016 the Crim Fitness Foundation is hosting a community summit featuring author and lecturer Jon Kabat-Zinn. He will share his expertise, clarity and wisdom about the value of mindfulness as a tool for bringing health and healing to the children of Flint and the surrounding community. This event will present the community with information about how the Crim Fitness Foundation has been and is continuing to bring mindfulness education to children in Flint Community Schools and the dynamic new curriculum tools that will be available to teachers and students in the coming year. The post The Lead Crisis in Flint: Where Mindfulness and Public Health Meet appeared first on Mindful.